Andrew Davies’s multifaceted interests have taken him from small beginnings in advertising at the largest agency on the island of Barbados, to the bowels of Mississippi where he helped build the ad agency now known as MadGENIUS Creative Fusion. In between, he managed to throw in some stints at The Weather Channel, Eyevox Film and Video Production and co-found award winning, multi-disciplined design firm Paragon Design Group to boot. As “the most Jamaican person at Paragon”, Drew now leads the creative team where, in addition to speaking to groups on matters of design and creativity, he straddles the worlds of print, web and motion graphics, working in concept and production of all three. He’s also managed to convince venues like the One Showcase, Layers magazine, American Corporate ID, Hoffstra University Press and the Travelling Caribbean Film Festival to show his work, somehow. 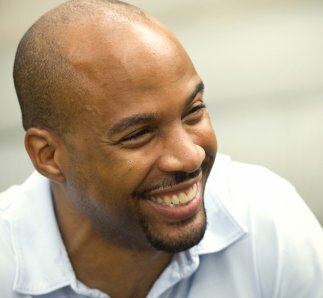 He’s recently released his own DVD of animated Jamaican folk stories while working on a few high falutin’ projects for clients like American Express, PriceWaterhouseCoopers, CNN International, Gulfstream Aerospace and Anthem Healthcare, along with some top-secret ones that he can’t even mention. While those are fun, he likes to stay grounded by changing the world, working for non-profits like TEDxCreativeCoast, Deep Center, AWOL (All Walks Of Life) Inc. and CAVU (Clear Air Visibility Unlimited). Ready to meet with this Lead Mentor?